School is accredited with British council since 2013. Our students participate in most of the activities organized by the British Council. Our involvement with the organization is supporting us to reach the vision and mission of the school. International school partnerships, student exchange programmes, virtual tour, field visits, research-based projects of international dimensions are some of the activities accomplished in this case. With the constant and rigorous efforts School has also won the prestigious International School Award in 2015. School is accredited with The Rising Leadership Award 2017 – The most Progressive and Upcoming school in Gujarat. 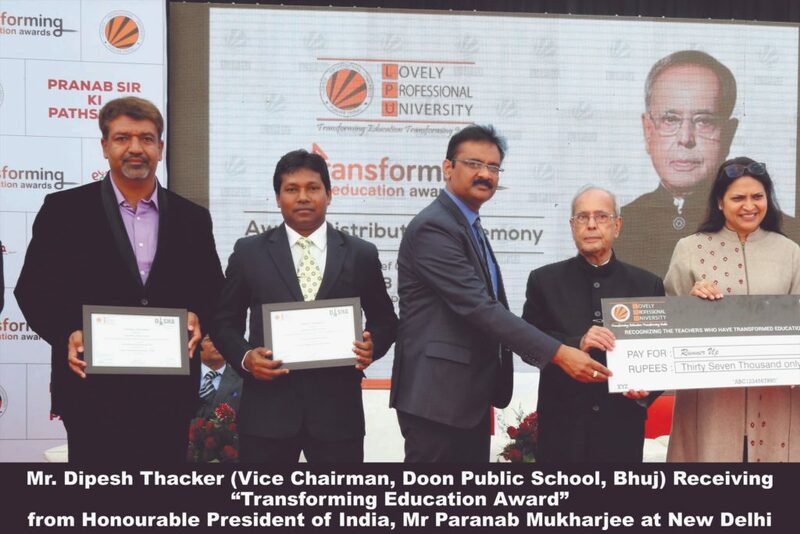 The school has also conferred with Transforming Education Award. 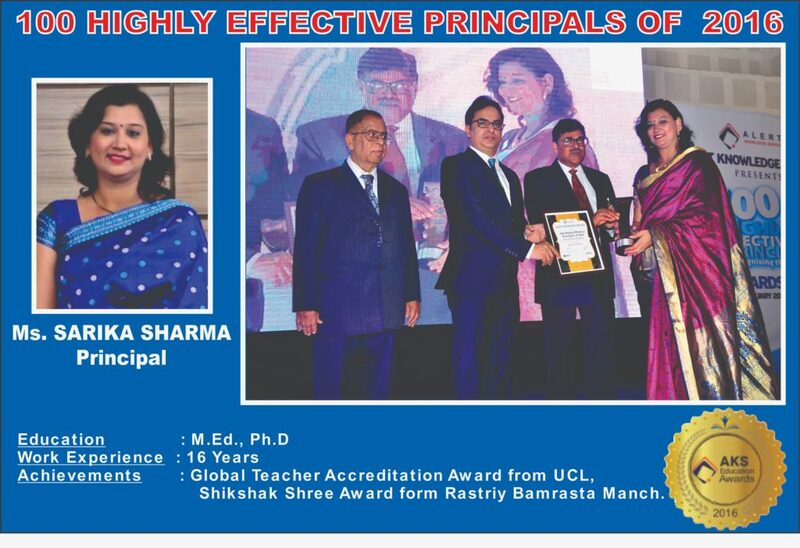 Our Principal Mrs. Sarika Sharma has been conferred with the following awards. 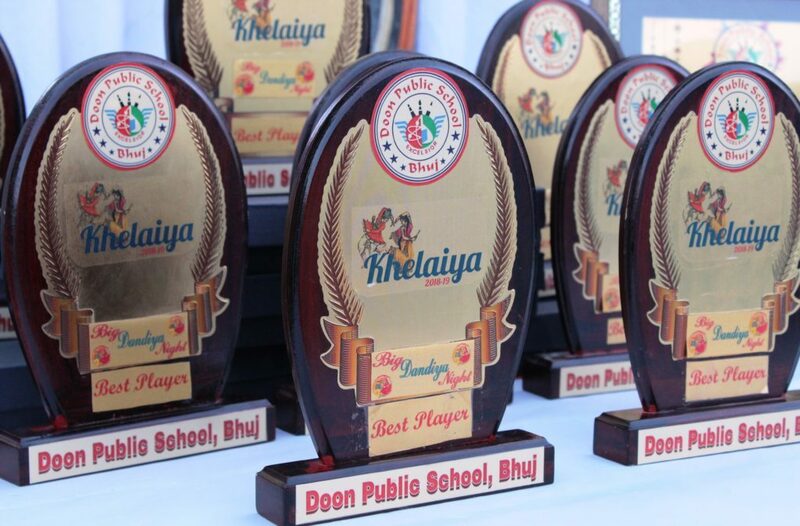 Best Principal Award by Group of Doon Public School. 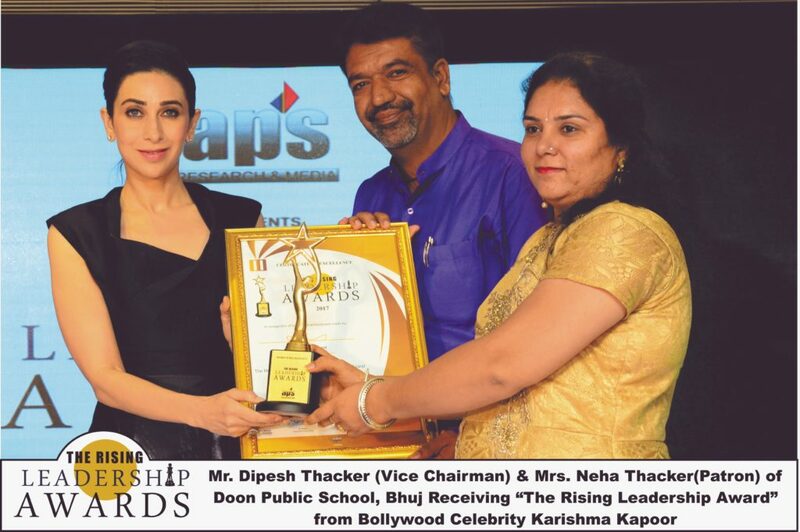 Our Manager Mr. Akash Sharma is honored Best Edupreneur Award by Alert Knowledge and Service. 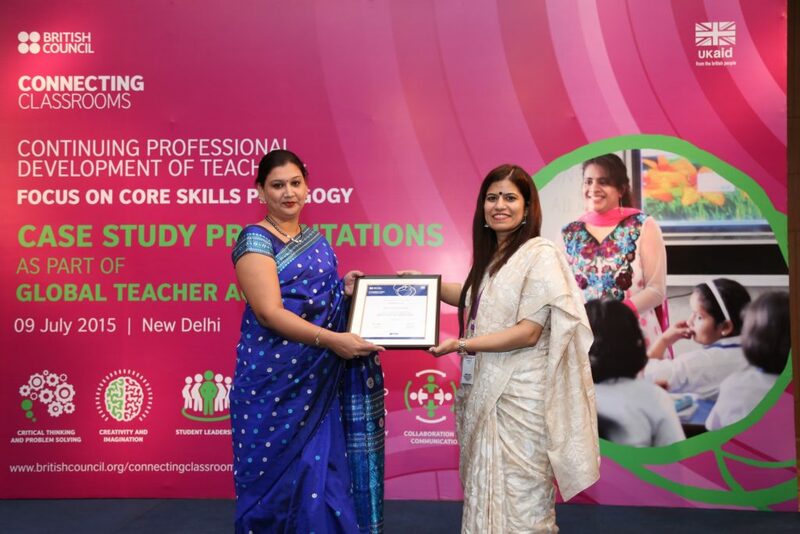 Mrs.Reena Verma, the Vice-Principal, has been awarded the following awards. Global Teacher Accreditation Award by the British Council. Best District Teacher Award by SOF. Global Teacher Award by Alert Knowledge and Service. 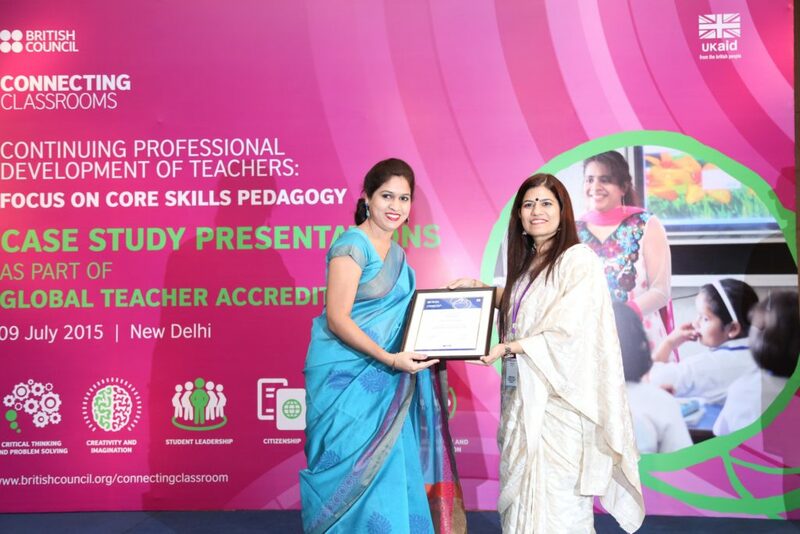 Mrs. Khyati Budhbhatti, the Proctor, has been certified Outstanding Abacus Trainer by Trendz Abacus.